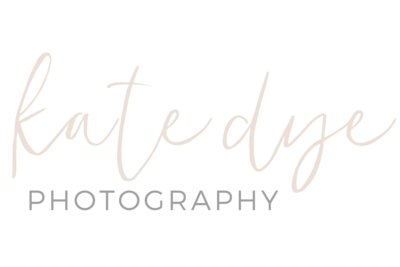 When I think about building my business and what type of business I want it to be, shooting weddings is not enough for me. That’s right. I don’t want my business as a wedding photographer to be just about taking photos at people’s weddings, which is what you would think right? Wrong. I want my business to be so much more. I want it to be about making life long friends instead of clients. I want it to be about watching strong marriages grow between each and every #kdyecouple. I want it to be a relationship in which the couples I shoot know about me, what I like, what I do on the weekends, what my kids are up to, and vice versa. Because it means so much more to me than just pretty pictures. So when Shayna rounded the corner at her and Michael’s Charleston engagement session and exclaimed, “IT’S YOU!!!! !” before giving me a big hug, I knew I have been doing something right to make that dream a reality. Shayna and Michael’s story begins on the first day of college, when the two met in class. Immediately smitten, Shayna tried flirting with Michael to no avail. They went on to date other people in college, and it wasn’t until after graduation when the two attended a concert together that they got together, and the rest is history. Their mutual love for Italy lead Michael to propose to Shayna at a Vineyard, where she happily said yes! They looked into having their nuptials abroad, but wanting to stay closer to their Maryland home, Shayna and Michael thought Charleston would be the perfect compromise. Their love for the charming architecture of Charleston meant Shayna and Michael planned to take their engagement photos in the historic district of downtown while in town planning their July wedding, which will take place at the Historic Rice Mill. As a nod to Italy, we took pictures in St. Michael’s Alley which is lined with Italian Cypress Trees. Shayna and Michael, I am counting down the days to your July wedding. But even more than that I am just so thankful the two of you found me. Because you’re the perfect example of what I am trying to build in my business. I consider you friends and can’t wait for July, but I also can’t wait for everything else that comes after.